I prefer the last 2. Every rootworker is different. But m, personally? I think that if I write: "I want" or "I need" is not the way to go. Because your spell may manifest by making you "want" or "need" and never getting it (yet the spell worked because you will continue wanting or needing. I'm currently working on a Money drawing mojo bag, however I need help with my petition. I want to receive 5000 or more monthly every month. Here's where my confusion comes in, does it matter where I ask for the money to come from bc I don't care where it comes from as long as no one I love dies for me to get 5000 weekly. I do serval things, such as own a business, I'm a sugar baby (men give me money), and I model. So do I just write I want to receive 5000 or more monthly? Or be more specific? If so what do I write? That is the correct petition. However, I personally think that's too demanding of a mojo hand. I would have one that says "bring lots of money" (or something to that effect). Hello! I'm putting together a gambling/money mojo. I thought I had this planned out, but then I research and got lost in my ideas. So please... some guidance! My 1st plan: Fiver Finger Grass, Cinnamon chips, Lodestone, 4 leaf clover pendant, a dime. Of course trying to do odds. No charm on the outside,ok? Do i need to count my cinn chips or can I just add some without effecting my odd numbers? My dime would be a regular dime, still effective? Not sure if I should be doing a petition for this or if the herbs and my intent are enough. ?? Then, like i said, i start to read and get too many ideas. Now I'm thinking I could switch it up for 7 ingredients and do the 5Finger, Cinn, Lodestone, LHRoot, JtheCRoot, 4leaf clover charm, $2 bill. My oils are Lucky Hand, Fast Luck, Lady Luck, Attraction and Casino. (No the casino oil is not luckymojo... im sorry). I have Hoyts as well. I really thought the oils went inside but now i understand I'm 5 spotting the outside of the bag, correct? Ok to use those 5 oils to 5 spot and just wash hands with Hoyts before gambling or should the Hoyts go on the bag too? Big question for me: I've read someone added money to their bag after it was tied off. So is it ok to open and add items or once its made it shouldnt be reopened?? Hope this makes sense. Thank you for your advice! My 1st plan: Fiver Finger Grass, Cinnamon chips, Lodestone, 4 leaf clover pendant, a dime. Of course trying to do odds. Do i need to count my cinn chips or can I just add some without effecting my odd numbers? My dime would be a regular dime, still effective? Not sure if I should be doing a petition for this or if the herbs and my intent are enough. ?? Then, like i said, i start to read and get too many ideas. Now I'm thinking I could switch it up for 7 ingredients and do the 5Finger, Cinn, Lodestone, LHRoot, JtheCRoot, 4leaf clover charm, $2 bill if I can find one. My oils are Lucky Hand, Fast Luck, Lady Luck, and Casino. (No the casino oil is not luckymojo... im sorry). I have Hoyts as well. I really thought the oils went inside but now i understand I'm 5 spotting the outside of the bag, correct? Ok to use those oils and Hoyts to 5 spot? Hello! I'm putting together a gambling/money mojo.. So please... some guidance! I like to play slots and I'm a server/bartender at a bar. I'm thinking I should do 7 ingredients and do the 5Finger Grass, Cinnamon chips, Lodestone, JtheCRoot, 4leaf clover charm, $2 bill and petition. Ingredients sound ok? Do i need to count how many chips i put in? I mean, are cinn chips considered one item all together or should i put in just one cinn chip? I'm not sure what to say on the petition... i know with candles it should be worded as if it has happened (ie my wallet is full as opposed to my wallet will be full). Am i doing the same or am i telling the bag what to do (ie make my wallet full)? Also not sure if it should involve "casino" or if it should just be a general money petition. I'd like money all around but help when I'm at the casino. Can i say both... money comes from all angles and casino always pays me? I've looked but can't quite figure it out. My oils are Lucky Hand, Fast Luck, Lady Luck, and Casino. (No the casino oil is not luckymojo... im sorry). I have Hoyts as well. I really thought the oils went inside but now i understand I'm 5 spotting the outside of the bag, correct? (Maybe some oils dabbed on the lodestone and 4 leaf clover charm?) Ok to use those oils and Hoyts to 5 spot? I'm using one bigger lodestone as opposed to a couple small ones. Hope this makes sense. Thank you for your advice! You guys are top notch and always a huge help. The ingredients you are mentioning for your mojo sound fine to me. Is the four leaf clover charm a little metal charm for the outside of the bag or is it an actually four leaf clove (presumably encased in plastic or something) for the inside of the bag? One thing I think would be good for you is to decide if you are going to make a gambling mojo or a money drawing mojo. Right now I feel like you are trying to do to much with one mojo. It just feels a little scattered to me. If you are not very practiced at making these yet it might be best to keep it simple. Your ingredients , particularly if the four leaf clover is a whole one going in the bag, are good for a gambling mojo. For treating your John the Conquere root I personally would not soak it. I just like to dab some onto the root. You can do this before it goes into the bag if you like. If you want to anoint the four leaf clover and the lodestone with a some oil or hoyts cologne you can do that as well. If I were you I would just pick on oil or use hoyts cologne. You could mix the three Lucky Mojo Oils you mentioned though if you are going to use Lucky Hand oil I would recommend getting a Lucky Hand root piece for you mojo bag. Otherwise just mix a little Fast Luck and Lady Luck. Those two would complement each other really well. I of course can not speak to oils that are not Lucky Mojo's oils as I have no idea what is in them or how they are made. As for counting no you do not need to count every single cinnamon chip. Cinnamon chips are one ingredient. For the petition just write what you want to happen. You can word it however you want. I personally prefer the new thought Idea of wording things as if they already exist but this not by any means the rule when it comes to petitions. Write "the Casino pays me every time I play" or "The casino will pay me every time I play" or any other way you want to word it. To reopening the bag, I would not do it. The way I have been taught is that once you have breathed life into that little bag and sealed it is now alive and re-opening kills the little fella. Natstein! Oh thank you thank you for responding. .. The 4 leaf clover is a little metal charm, not a real clover and it does not have a hole to stitch to the outside. I was going to throw him in the bag. If he shouldnt go in, should he be replaced to keep it at 7 ingredients? i suppose i would rather do a gambling mojo. I was hoping my ingredients would make it generally draw in money, but if i have to pick it would be gambling. I will just dab the root and lodestone (and 4leaf clover charm if it should go in). No LH root so i wont use the oil. Ill mix the ones youve mentioned. So, Hoyts is not something you use with oil? Its one or the other? I have Florida Water and love it, thought i could do sort of the same with hoyts as in put a little on my hands and then oil and then go gamble. I was gonna 5spot the bag with both. Got it on the cinn chips and the petition. I felt the same way with reopening and was suprised to read someone had reopened theirs. I'm curious as to what would be different if it was for general money drawing. And yes, I'm new to the mojo bag and making of. I watched Ms Pamita and have heard enough to where i understand what to do but you're right... i got scattered once i put too much thought into it. Which is what always happens when i nit pick. I do have a regular dime that was minted in my birth year on hand, but I would have to find a Mercury dime. I know LM sells them. Also, I wanted to add another coin to the bag for personal reasons/symbolisim, to make it more "mine," even though it isn't (to my very limited knowledge) traditional. Would that be ok, or would it mess up the recipie? The question of what is more powerful is really not possible to answer. What people decide to use is typically based on what they have been tought by their teachers. When someone knows more than one way of doing something they may have one way they find that works better for them but they may not be true for the next worker. Or they may just use whatever they have on hand. I reccomend you go with what seems best to you and see how it works. For your question about the other coin, you can do whatever you want and if what you are adding has a good personal connection to you then it can act as a kind of personal concern. I can't really tell you if it will mess it up without knowing more specifically what it is but you can always try it and see how it works! Thank you for your reply! I feel like now is a good time to make my mojo bag, so I will use the dime on hand and see how it turns out. I was taught as a child that coins with your birth year are lucky, and you should hold on to them, so I suppose the regular dime with my birth year has more meaning to me personally than the Mercury dime. The other coin I was going to add is a buffalo nickel that I have been holding on to for some time. When I decided to make a money mojo, I immediately thought of adding this coin because the buffalo is a symbol of abundance for the Blackfoot, which has more cultural significance to me personally than Mercury. I also thought that maybe the flip side might act the same wayvas an Indian head penny, as a scout/lookout. As in, "look after my money and guard it against attack" -- but that was an afterthought; my *main* reason is for the buffalo. I couldn't find anything one way or another about using buffalo nickels in conjure, but I wanted to make sure. I recognize that hoodoo has very old traditions, and as a fledgling don't want to mess around with the way things are done too much. But I had a strong feeling and urge to add the nickel. About your question regarding the buffalo head nickel: While I think you should use it in your mojo if it has cultural significance/connection to you, I think it's a leap to say it will act in the same protective way as one of the Indian head cents found here: http://www.luckymojo.com/indianheadcent.html. Go to page 2 and scroll down. Ah, that makes sense. Thanks for the link! The reason that I want to add the buffalo nickel is for the buffalo's symbolism, but I was flipping through Cat's book and it mentiond the Indian head coin, and I figured that would be a nice (but not necessary) bonus. I thought it was just based on the image of the "scout" on the coin but, in hindsight, of course it would be more layered than that. Thanks again, I am glad I checked here and got that straightened out. Hey, i just purchased a triple strength money drawing mojo bag, in the instructions it says it says I need to get a coin and crisp two dollar bill from my birth year, being that i live in hawaii its not easy to get the crisp two dollar bill that has 1992 on it. I did find a penny that was from 1992. Is there any way i can substitute the 2 dollar bill and does it matter if the coin is a penny? Lucky Mojo actually sells $2 bills, and you could call the store to see if they have one from 1992 (they may not, but you can always try). If the instructions call for a $2 bill, I wouldn't use a substitute. I don't think it would matter if the coin is a penny, however, if I was making a mojo bag to attract money, I'd get a coin in the largest denomination I could find! I am super excited that I just received my triple strength money drawing mojo today! woo hooo! I want to use the mojo to attract more money through gambling and in my job. I wanted to write the petition "Money will come to me everywhere i go" or maybe "bring in lots of money everywhere i go." Do you guys think that the petition is too general or should i be more specific? Thanks alot for your help. Wishing you the very best with your mojo hand. The triple strengths are absolutely THE best! so i am pretty much a newbie in conjure and i think i committed a big mistake with my money drawing mojo bag. I have never seen a lodestone before and I am pretty certain that I wrapped the small chunk of dragon's blood instead of the small lodestone. I did see a couple of small round blackish pebbles but I assumed that was the allspice. I have already closed the bad and breathed into it and I do not want to kill it by reopening it to fix the mixed up. do you guys think this mistake will affect the effectiveness of the bag. I am debating of getting another one. any advice is greatly appreciated. Thanks. I'm so sorry but I would get another one. The lodestone pebbles is what has the spiritual magnetizing properties. BUT don't throw dispose of this one. Use it until you get the other one. AS it is, it won't hurt anything but it won't have as much drawing power. What would be a great well rounded petition for a money drawing vigil at MISC? I need help financially as must of us do unless you're fortunate enough to have deep pockets. I have a few bank loans and school financial aid that I would REALLY like to get rid off but having a hard time with doing so. what vigils besides money drawing would be best and how should I write the petition for that specific candle? There's money drawing; wealthy way; prosperity; and money stay with me. If I don't have pockets can I carry a buckeye nut in a purse or on the right side of my bra? But I like the bra idea better because it's closer to you!! I was thinking that too! Thank you! I’m thinking of purchasing a money drawing or money stay with me mojo hand however I live in England but I have noticed people have mentioned that you need to get a $2 bill and coin from my year of birth however the currency I want to draw in is pounds.£££. Do I still use exactly what it asks for or do I substitute it with English money? Does that mean that it won’t work for me because I’m in England and my currency is pounds or will it work but just draw US dollars to me instead? I have a business that Is based in US, so this could be used solely for that business, as I get paid in US dollars from it. This mojo would be great for your U.S.-based business but you could also ask it to bring prosperity "in all forms." I have a few more questions, sorry to be a pain. Is there a way we can see what additional supplies we need to go into a mojo hand before we buy it? I don't want to buy the mojo hand and then when it comes I needed more supplies and have to wait another 2 weeks for it to arrive as I live in another country. I would rather buy everything at once. Also, I travel alot and have seen that if other people touch your mojo hand then that is a bad thing. Is this something you can get on a plane with because In the airport if they search me and find it then it will no longer work or is it better for me to let it go through the x-ray machine? Lastly, can you carry a money drawing and money stay with me mojo hand at the same time? Yes, you can carry 2 or even 3 at a time. I don't like the idea of the X-ray machine. I am afraid that they might make you take it out ad show them. I have never thought of that..
Any way that you can put it in your luggage? I thought you had to buy extra things to Add to a mojo hand like a $2 bill and a coin plus other things. Also, regarding the mojo hand in an airport I can put it in my luggage however, the luggage goes through an X-Ray machine also. Everything does. Is it something that I can be without for a period of time? Would it affect the power of it badly if I went away for a week or 2 and left it at home? If you are buying a mojo hand from Lucky Mojo, then everything is included. If you are making your own mojo hand and just buying an empty bag, then that is a different story. But, why buy all the supplies when you can get a fixed mojo hand cheaper? That wouldn't make sense. Boy, I tell you. This is a really tough call to make on your mojo hand. You could take a chance and wrap it up real good in clothing in your luggage. Put tape around the clothing. If the tape has been unraveled then you know that someone opened it. But just through an xray machine with clothing around it? I doubt it will be seen. HOWEVER, why don't you just wait until you return and give life to your mojo hand? Hello I’m not sure how to start a new forum but I’m interested in buying a Mojo Hand for money. I need all the fast money I can get but I also need to keep it and invest in my career. I live a very expensive life style and I need to bring way more in than I’m making. Should I get the Fast Money Drawing Hand or Money Stay with me Hand? Thank you for clearing that up. I will buy a fixed mojo as that will be a lot easier. In regards to the airport situation I was asking if the mojo is something I can bring on multiple holidays with me? I travel internationally every few months. So I just want to make sure it’s something I can carry with me on my journeys throughout airports in the world and the best way to transport it when doing so, or do you think it will be better for me to leave it at home when going abroad? P.S. I moved your question to this thread because it was posted in the wrong place. Next time, please try to post under the thread that's most relevant to your question. Thanks! You just never know what can happen in airports. In one airport your mojo bag might be fine, in another it could be found and touched and the power killed. If it were me, I'd leave my mojo at home. I am waiting on some supplies from your store, so in the meantime just doing some research. I plan on using the Fourth Pentacle of Jupiter to top off my mojo bag. What are your thoughts on using a spirit from the Goetia to replace the Jupiter seal? Lastly I will be using 7 or 13 ingredients. Can I use the seal and a petition? Would each of these count as part of the mojo? Hello I just received my Triple Strength Money Drawing Mojo bag. I don’t think they came with lodestones. Are they the two small tiny balls? I googled lodestone and they are larger, wide & furry. If it is the right stone what you mean fold around it? Fold it in the paper or just have the item near? This might be a better question for the shop, but you could have received lodestone gravel instead of a large lodestone, which can be too big for a mojo bag. Is the stone black? And then I don't have the instructions for the mojo bag in front of me, so you might want to ask the shop. We do not include a two dollar bill in our mojo hands. You can et one at a local bank or from us. Some of our mojos do include silver dimes when ordered at the triple strength level. Most do not. Are sure it does not have the root? We use small roots in the mojos, not large ones. It would be very odd to have left it out, as we have a whole jar of "mojo size" J the C roots in-house at any time. Mistakes have been made at times, of course -- we are not perfect -- so i suggest that you spread the contents out and take a cell phone picture and send it to the shop. If there really is no J the C root in your bag, they will send you one. I would contact the shop anyway and let them know, then go from there. I understand that a money draw mojo hand would be useful in many areas pertaining to drawing money, of course, but I have a question in regards to which angles it could actually be used in a spell. In my particular scenario, I want to find a new job that pays good money, gives me financial stability, and makes me happy. 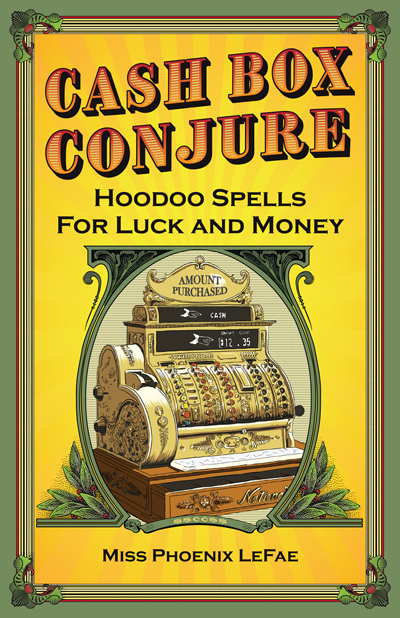 Would the money draw mojo actually work to help draw the job to you in the first place, or would something else be of better use for that specific purpose, like an attraction or road opener product instead? If you are trying to succeed in finding a specific job that offers Money, stability, happiness and so on. I would get the Crown of success mojo bag and dress it with money drawing oil, money stay with me, look me over, prosperity, attraction,and crown of success . This way you have all bases covered. Hi Edward T. Thanks for your suggestion! Turns out I already have a crown of success bag (I actually just received it a few days ago) but I petitioned it with a totally different purpose already. Steady work is a common oil and product used for looking for a new job or to continue to do well at your job. You can mix the oil with crown of success to give you success in the new job and find that perfect job. Gravel root with salt is often carried in the pocket when looking for a job and applying or asking for a raise. In addition to a mojo I would do a sweet jar to sweeten the job to you that you are seeking. If you dont know the job then simply list the must haves for you. If you have a place in mind and interviewing then put the names of interviewers (or any info you know) in to a sweet jar. Dress the resume you bring with crown of success sachet power and steady work powder. Dress your body with the oils as well. Of course these combos can be mixed with any of the money drawing line, even to attraction to draw or used with a lodestone to draw. Such as money drawing added to the mix I mentioned for a good paying job, or wealthy way mixed in, burn a green candle on pay day dressed with money stay with me. I think I will probably go with a Steady Work spell kit (or possibly even the Steady Work honey jar kit) and use that in conjunction with the Crown of Success and Money draw products. Thanks for the recommendations! I just wanted to know a good strategy and the right products for my specific goal. I like the spell kit with a honey jar because the kit is a job which involves making a mojo in the end you will carry with you daily. The honey jar is ongoing work that you will pray over and light dressed candle with several times a week. It is a great combo to keep the work going and active. But the steady work honey jar and order a bottle of crown of success oil, you can dress the candles on the jar with both oils. Wear both oils when you go for a job interview as well. I completely understand budgeting! I meant to write buy not but above lol. I was saying by the jar and a bottle of crown of success oil at the same time. Sorry for my slippery typo.